Moreover, higher education is incredibly expensive, and college debt is staggering. Young people are having difficulties obtaining work. Many 20-to-40 years-old are moving into their parents’ homes. Devastatingly and increasingly, children are not living in stable, two-parent households. Racial tensions are increasing, and anti-social behavior is invading our cities and communities. These disparate and seemingly unrelated phenomena have a common source – PROGRESSIVISM. Very few Americans understand that over a century ago, Progressives perverted our Constitution and governance system from a limited-government, which restricted governance powers to an unlimited government run by elites and their bureaucracies. Through the years, America has witnessed the disappearance of thousands of our civil societies (e.g. Knights of Columbus, Masons, Benevolent and Protective Order of Elks, and the Loyal Order of Moose), where people were self-sufficient and voluntarily formed institutions to better themselves and their communities, because of the Progressive movement, but today our country is suffering from the unintended consequences of this Progressive Era. It is not pleasant. The Progressive philosophy’s roots go back to, at least, Hegel during the early 19th Century in Prussia. In general, Hegel believed a knowledgeable and intelligent government guided by Christianity advanced civilization. As Hegel wrote "the state is the divine idea as it exists on earth." Hegel’s ideas percolated in Europe and made their way to America around 1880. This followed after American intellectuals studied in Germany and became devotees to the theory that intelligent elites, using the power of government, will mold better people and a superior society. In America, academia strongly advocated against our Founders’ philosophies of our natural right to freedom, which included the right to acquire and own property. Philosophically, the Progressives had a problem: What to do about America’s reverence for freedom and liberty? Since our founding, America was about freedom, and academics knew in order to force progressivism they needed to redefine “freedom.” Instead of our Founders’ natural right to be free, the Progresses defined freedom as supplying resources – money and trained, social workers - to enlarge and fulfill human capacities. Omnipotent, it was the duty of the superior elites to deem what is good for We the People. A knowledgeable and benevolent government had the moral authority to tax and transfer assets (private property) to implement change. Thus, the intellectual foundation was laid for unlimited taxing powers and ever-expanding bureaucracies. The individual “is under obligation to use his rights in social ways” Property, for example, must be used in a socially desirable way. Therefore, the wealthy and productive owe society, which has claims on their property and activity. Just over a hundred years ago, the Progressive philosophy became part of American politics. Teddy Roosevelt embraced most of the Progressive concepts. However, Woodrow Wilson was the first president to strongly support the Progressive creed and strongly asserted that the Constitution and the philosophy of our Founders were archaic. Wilson called for “a living Constitution,” which is very much part of the Progressive creed today. Living political constitutions must be Darwinian in structure and in practice. Society is a living organism and must obey the laws of life, not of mechanics; it must develop. All the progressives ask or desire is permission—in an era when “development,” “evolution,” is the scientific word—to interpret the Constitution according to the Darwinian principle. Wilson and the Progressives were significantly responsible for two, very important amendments to our Constitution in 1912: income tax and the popular-election of our Senators. Both have had an enormous impact on governance and power in America. The income tax, which originally was a low rate and only taxed the wealthy, has given the federal government almost unlimited power to tax. Expanding our taxing power has allowed the federal government to expand its reach nationally and into the states – welfare, Food Stamps, Medicare, Medicaid, ObamaCare, and hundreds more organizations. The increased taxing power creates more government spending, which is used by federal politicians to curry favor with voters. A very harmful cycle, increased spending has led to deficits which have become an enormous government debt – approaching $20 trillion. Immorally and dangerously, government debt is an unpaid tax bill that will presumably be paid by future generations. Originally, our Constitution decreed that state legislatures selected their two United States Senators. As part of the separation of powers, our Founders wanted Senators beholding to the interests and wishes of the state governments. Since the enactment of the election of Senators by the citizens of their state, Senators, again, please the voters, and the state legislatures have severely lost power and influence with their federal Senators. From Hegel in Prussia, to academia in America, to Teddy Roosevelt and Woodrow Wilson, the living constitution and two amendments in 1912 replaced our Founders’ limited and defined government. 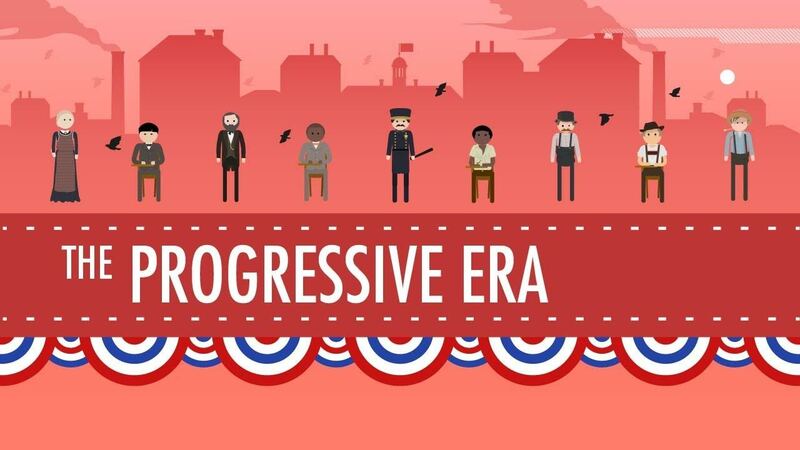 Unfortunately, Woodrow Wilson and the Progressive Era was just the beginning. The next post in this series will examine the great expansion of the federal government from FDR to LBJ to President Obama and many more Progressives.